The Subtlety of the enemy Whenever I have heard someone say that they had some sort of direct confrontation with a demon where it was crawling on their walls or playing tricks on them, I tend to regard the story as hysteria. It's not that I don't believe that demons are real or that they are not capable of manifesting themselves in this way, it just doesn't seem like good tactics on their part. If it were my job to keep people from having a relationship with God, I would not scare them into praying the first chance I got. I would rather lead them in the wrong direction, one step at a time, or convince them not to travel that narrow path at all. For the Enemy, the best kind of human is an apathetic one. I have seen this to be true in my own life. One day you wake up and you find that you haven't spoken to God in weeks or maybe even months. You have run out of time to read your bible; you call yourself a Christian but the title doesn't mean anything to you any more. The question that follows is always how did I get here and then the excuses start. "Well I have been under a lot of stress lately and I haven't had much time." Or you can play the blame game. "I don't want to talk to God because he has brought tragedy in my life and abandoned me." You can always find the truth to counteract the lies. The best way to deal with stress is to go to God, or that you can find time to watch TV but not to pray. You can accept that the tragedy in your life is man-made and that the bible is clear that God will never leave you, but knowing the truth doesn't always make a change in how we do things. That is where you have to acknowledge the enemy. The bible makes no bones about the reality of spiritual oppression. The enemy is real but he is not in your face, he is a whisper in the back of your mind justifying each and every little step away from God. He is the burden that slows you down in your spiritual walk until you are stopped completely. The battle for your mind is not like the overtaking of Normandy, its like terrorists silently infiltrating everything you love and treasure. That is why we have to develop a screening process. The bible calls it "taking every thought captive." Taking every thought captive means that we are purposeful about what we dwell on. We develop a habit of going to the bible for what is true and comparing our thoughts with that truth. Anything that we find that doesn't line up we put aside. As Americans we can get this backward. We operate by what we feel is true and then dismiss God and the bible because it doesn't match up with our reality, but if I were the enemy, I would have a field day manipulating emotions to contradict God. I would push negativity and isolation, anything I could to send a Christian in the wrong direction, or better yet, get them to lay down on the side of the path. God calls us to take a journey with him, and when we do we keep our focus and attention on him and in close relationship to him. In doing this we make no room for the enemy to have a foot hold in our lives and we combat their subversive tactics by the continual renewing of our minds. So if you are waiting for the enemy to attack before you begin to fight back, chances are that you are already a prisoner of war. 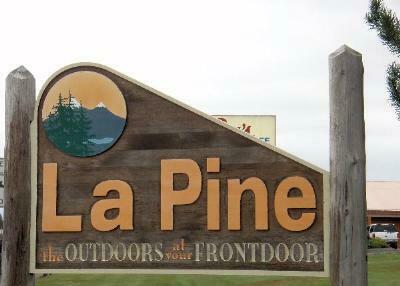 I've been living in LaPine for the last few weeks. I share that because of the ironies. While living in Bend for over 7 years, I've made more jokes about LaPine than any other place on the planet (now I live there [temporarily!]). Every time I drive into the "city limits" and see the sign that has about as many people that live there as I do friends on facebook, I chuckle on the inside. What I realize is that our joy is not found in where we live or what kind of home we have, rather in the hope we have! At Journey Church, our mission is to transform the world, starting in Bend through faith, HOPE, and love! What do you put your hope in? Do you find an irony in your life that you can see God working through? God wants you to care FAR more about how people view JESUS than view YOU. This will challenge you to the core. Invite a friend to experience Journey Church with you! Should I hate religion but love Jesus? We gave it all away! !